A memorandum – or actually, a Notice – was made available last night at the OB Planning Board meeting that indicates the City of San Diego is ready to move on the dangerous Orchard Cave, as it is now set to enact “emergency slope repairs” at the site in OB. Actual repairs, however, are a month away, the Councilwoman Zapf representative estimated at the meeting. 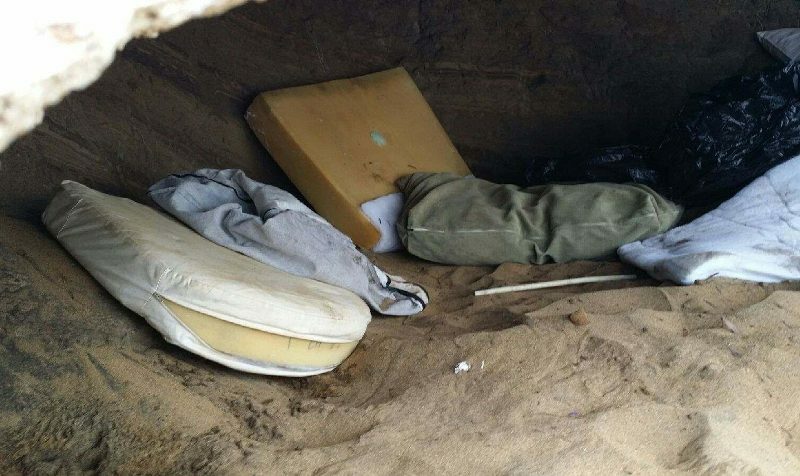 This is the same cave in dangerous condition investigated by the OB Rag earlier this week – where it appears people are living – . 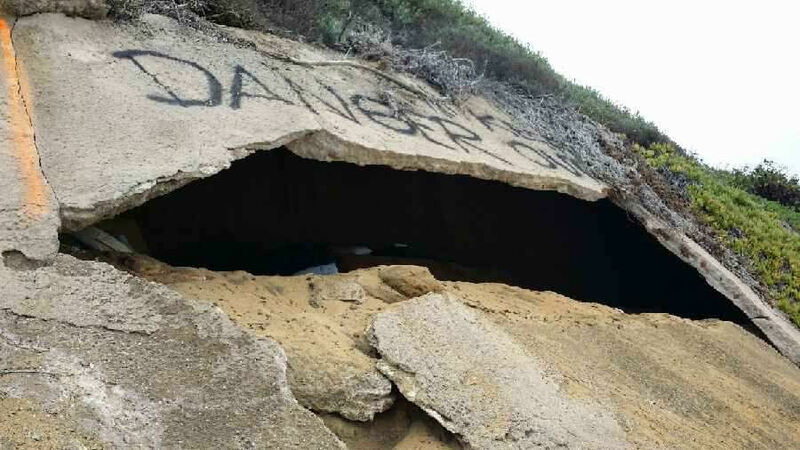 Concrete is in danger of collapsing on occupants of an illegal shelter carved into the coastal bluff between Orchard Ave. and Pescadero Ave. The emergency work consists of breaking up about 250 square feet of 5 inch thick shotcrete (concrete shell) into smaller sections and allowing the sections to collapse in place on the shelter floor to prevent an unexpected collapse on occupants. Crews will use safety harnesses and hand-held air tools. … Staging will be in the City right of way at the end of Orchard Ave on paved surfaces. The emergency repairs are required in order to protect public health, safety and property. This determination is supported by photographs and the expert opinion of the City Engineer and City Geologist. cowabunga dude! the rag has some pull. a day after the expose on the orchard st cave and then wow! the city caves (pun intended) to the rag demands. It was contentious pressure from locals on the police and politicians that made this happen. The same locals that told the Rag. bodysurfer bob – Thanks for the kind words, but it was more coincidence than anything else. The issue has been bubbling for a while.